The reason gun owners must have a concealed weapons permit is because, with the exception of three states, it is required by state law. There is no federal law requiring a concealed weapons permit. However, if you wish to avoid fines and, sometimes, jail time, you must have a permit recognized by any state you wish to carry a concealed weapon in. 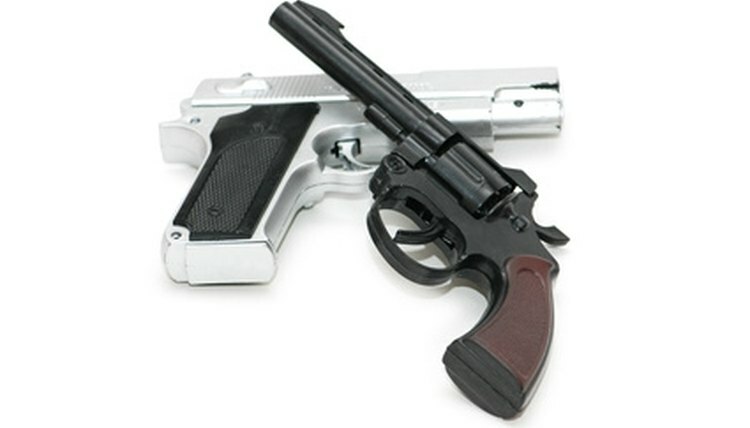 In order to successfully apply for a concealed weapons permit you must meet several criteria. Although the requirements vary between states, applicants will often be required to complete a training course, be eighteen years of age or older, and be subject to a background check. Certain criminal convictions may disqualify an applicant from obtaining a concealed carry permit. In some states, the mentally ill and those with drug addictions are not allowed to carry concealed weapons. Permits to carry concealed weapons are issued on a state by state basis; Alaska, Vermont, and Arizona are the only states which allow concealed carrying without a permit. Wisconsin and Illinois are the only states that do not allow citizens to carry concealed weapons. Some states recognize other states’ concealed weapon permits; for example, a concealed weapons permit for Montana will also be recognized in Texas. However, there is no uniform federal law or federal concealed weapons permit. That means that each time a concealed weapon is taken to another state, it is important to check that state's requirements and comply fully with them, regardless of how short the trip to that state may be. Failing to obtain a permit can result in charges that are either misdemeanors or felonies. The penalties for being caught carrying a concealed weapon without a permit vary from state to state. They are typically harsh and can include large fines and jail time. Even with a concealed carry permit, there are still locations where it is illegal to carry a gun. Many states ban carrying concealed weapons on school grounds, and some states ban concealed weapons on college campuses and in other government and public buildings. In 2008 the Supreme Court ruled that the Second Amendment allows for citizens to own and keep guns for self-defense purposes. The Second Amendment states that “A well regulated militia, being necessary to the security of a free state, the right of the people to keep and bear arms, shall not be infringed.” Prior to this Supreme Court ruling, it was disputed whether or not the Second Amendment allowed for an individual right to bear arms, as opposed to a collective right to bear arms, specific to the establishment of a militia, that did not guarantee individual gun rights. “Gun Control.” The New York Times. “Justices, Ruling 5-4, Endorse Personal Right to Own Gun.” The New York Times. June 27, 2008. Adams, Sara. "Reasons for Concealed Weapon Permit." , https://legalbeagle.com/6721365-reasons-concealed-weapon-permit.html. Accessed 20 April 2019.